Shares in Acacia Mining (LON:ACA) shot up Wednesday after Tanzania’s President said parent company Barrick Gold (TSX, NYSE:ABX) is willing to reimburse money that’s owed to the government. Barrick, which holds a 63.9% interest in Acacia, said chairman John Thornton met President John Magufuli to “discuss issues” pertaining to the Tanzania-focused miner, and the country’s current ban on mineral concentrate exports. “The meeting was constructive and open, with the parties agreeing to enter into negotiations to seek a resolution that is in the best interests of all stakeholders, including Tanzania, Barrick, and Acacia,” the world’s largest gold producer said in a brief statement, without mention of possible payments. In a separate statement issued later in the day, Acacia said that the negotiations have yet to commence, so no agreements have been reached. It noted, however, that the talks "will seek a resolution that is in the best interests of all stakeholders." Barrick confirmed talks with Tanzania's President were held Wednesday, but didn't mention the details of what, if anything, had been agreed. “Thornton said his company is ready to hold talks with Tanzania that will consider the interests of both sides and is ready to pay all the money it’s expected to pay Tanzania,” the presidency said in an emailed statement, according to Bloomberg. A panel of experts will be established to determine how much Acacia owes Tanzania, the statement added. Shares in Acacia rose as much as 9.4% on the news to 297.90p at 3:22pm London time. Year-to-date, however, the stock is down almost 22%. Barrick’s shares were also moderately up in both New York and Toronto in early trading. 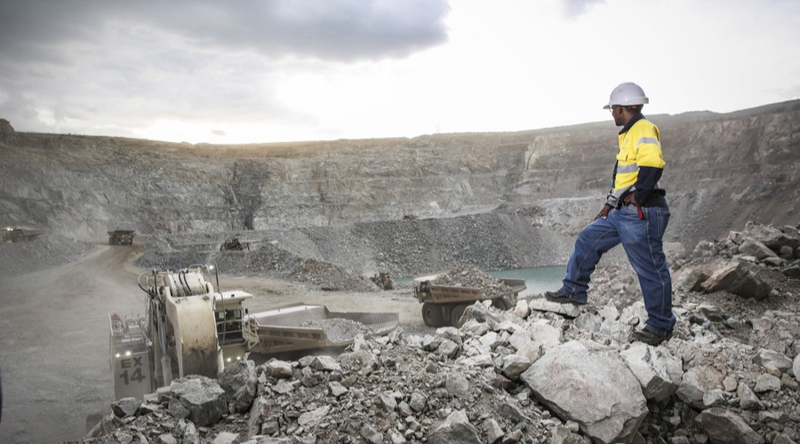 Tanzania has accused Acacia of operating illegally and evading tens of billions of dollars in taxes by understating the amount of metal concentrate in exports from the three gold and copper mines it operates in the country. In March, the government also banned all unprocessed metal exports, which Acacia has said is costing it $1m a day. Additionally, the nation is pushing mining firms to list a 30% stake on the Dar es Salaam stock exchange by August, claiming the move will increase transparency and spread wealth from Tanzania’s natural resources. In order to provide clear and factual information around the current situation, the company also created a micro-site, with background, its answers to Tanzania’s allegations, and details of the company’s contribution to the country’s economy.